Highest quality home plate mats! 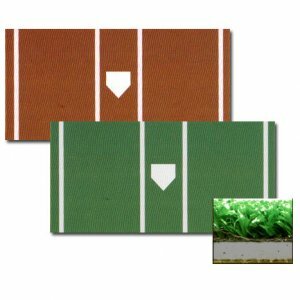 Burbank Sport Nets Home Plate Mat is made with the highest quality spike-proof turf with dense 5 mm foam backing. Includes permanent inlaid white turf lines and inlaid home plate. Choose from standard Green or Clay colors. Don’t be fooled by cheaper mats with spray-painted home plates, and lower quality turf.